30 years after the fall of the Berlin Wall and the Iron Curtain in Europe, which divided Berlin, Germany and Europe in two parts, there are hardly any remains of the former death strip between East and West. Wilhelm von Humboldt once has said: “Only the one who knows the past will have a future”. Therefore we all have to look at the past. For that purpose, several projects have been initiated to keep history alive. I fostered the “Berlin Wall Trail”, a 160 km bike and hiking trail along the former border around Berlin West. The comparable German project is the ”German-German Border Trail”, a biking trail along the former 1,400 kilometers of the inner-German border. It is part of the “Iron Curtain Trail” (ICT) along the western border of the countries of the former Warsaw Pact. On September, 8th 2005 the European Parliament decided in the resolution “New prospects and new challenges for sustainable European tourism”, that “The Iron Curtain Trail should be supported as an example of Soft Mobility and as a symbol of the reunification of Europe” with a large majority of all the countries and all the political groups. The ICT starts in the North at the Barents Sea on the Norwegian -Russian border and ends in the South at the Black Sea on the Bulgarian-Turkish border. The trail is 10,000 kilometers long and through 20 European countries, 15 are now member states of the European Union. The Berlin Wall Trail and the ICT make history alive and combine it with nature protection and soft tourism. But those two trails bring also people from both sides of the former border together. Thirty years ago it was not possible to cross the border, today you can cross most of this borders by not even showing a pass port. Not all the walls worldwide have disappeared and on some borders of the EU member states you will find new walls. The EU is not perfect, but we can make the EU better together, if we listen to our neighbours and find solutions, which work for both. Going back into my nation and do not care about the world outside won’t stop global problems. Climate change won’t stop at borders. The last years were some of the hottest and driest in history. We can protect the climate only together as Europeans with a strong voice in the world, that we will save our future and the future of our children. That’s why pupils all over Europe come together as “Fridays for Future”. And that’s why it is so important, to vote 2019 in the elections of the European Parliament from May 22nd to 26th. Don’t let those be a voice in Europe, who say, the EU is bad and has to be stopped, but who don’t have any solution to make it better for you. There are many parties in Europe, which have different ways to find solutions. Europe is colourful and if you want it to be like this, go vote the European Parliament, so that Europe won’t become brown. Michael Cramer is Member of the European Parliament since 2004. 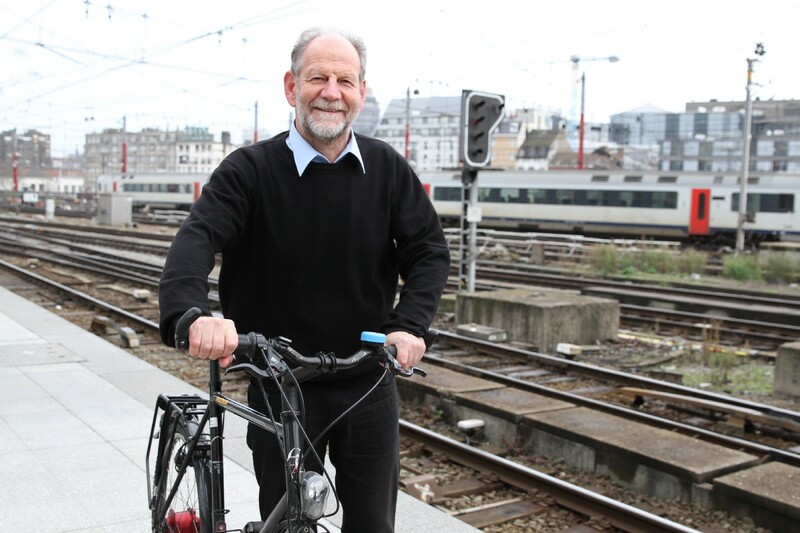 As a member of the Greens/EFA parliamentary group he fights for sustainable, safe and affordable mobility in Europe. Since the beginning of the term in 2004, he has been a member of the Committee on Transport and Tourism, whose activities are recorded and livestreamed via the official website. You can also follow his political work via Facebook, Flickr or Twitter. Furthermore, you can also find his profile, financial declaration and videos of speeches in the Parliament’s plenary (in all official languages) on the website of the European Parliament.